Speck has always been Bomè’s principal product. Its speck slabs represent excellence in quality and high yield. 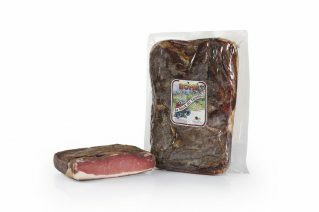 This product is available in the classic cuts – entire, half and sliced – as well as in slab form. 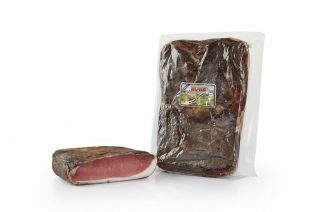 The hind leg of the pig is used to produce high-quality speck. 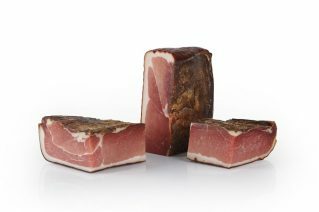 It is rounded at the tip, trimmed, cleaned and dry-brined with salt, pepper and juniper for at least three weeks, with frequent rubbing. 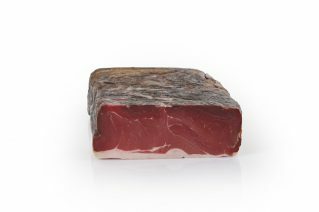 After salting, the meat is smoked in special rooms with a specific sawdust and juniper, after which it is hung in different types of curing rooms depending on the product to be obtained. 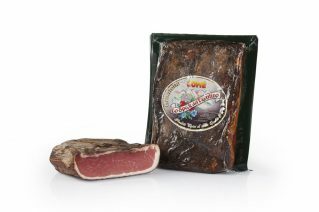 A haute cuisine cured product takes approximately six months, while a younger product takes four. 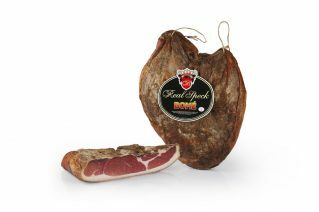 Speck must be left at room temperature for a few minutes in order to fully develop its flavour and acquire the right consistency. It is usually sliced into 2m strips and served with traditional black bread. 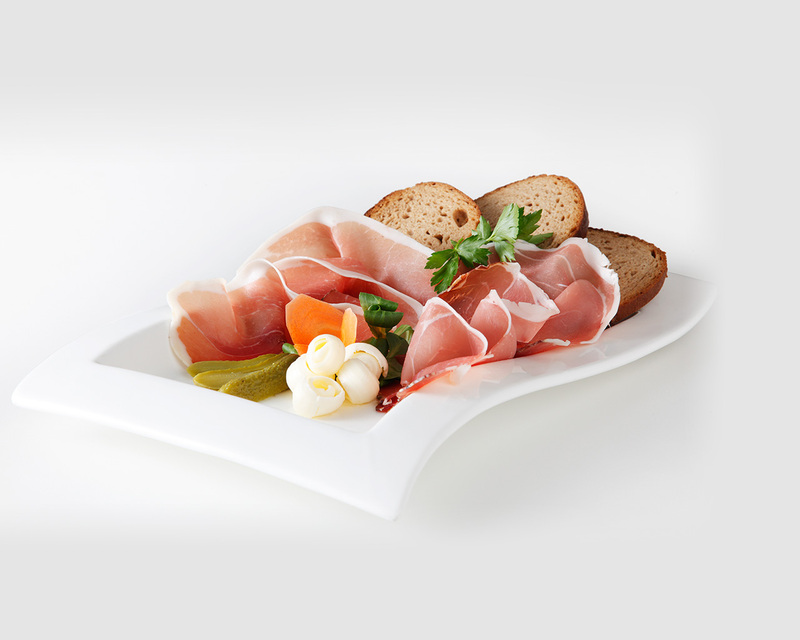 Its flavour is brought out if it is accompanied by full-flavoured wines such as Pinot noir or Lagrein rosé.